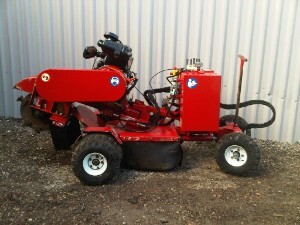 Carlton SP4012 - Category: Stump Grinders Lombardini diesel engine, 2006, Manual controls, Extending hydraulic tongue, fitted with optional dual drive wheels. New teeth fitted and serviced and ready to go. Buy with confidence from Forest Arborcut.